Welcome! 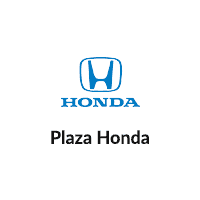 Plaza Honda is part of the reputable Plaza Auto Mall Group, conveniently located on Nostrand Avenue in the heart of Brooklyn, NY. Plaza started with one simple concept, Family. For 43 Years Running, Plaza has served countless families throughout the Tri-State Area. Sure, car dealerships sell Cars, Service and Parts. What plaza sells is Trust. You can buy or service a car anywhere; but you can’t trust everyone. Trust is what allows us to serve all of our loyal families, time and time again. We look forward to serving you and your family, for decades to come. Drivers from all over Bay Ridge, Brooklyn, Queens, Bronx, Manhattan, Staten Island, lower Nassau County and the surrounding New York areas have been visiting Plaza for decades to find the best deals on new Honda models, Certified Pre-Owned, and used cars from many different automakers at a wide range of price points. Our enthusiastic sales staff and top-trained technicians are dedicated to making sure you have a fun, easy, and financially advantageous automotive experience. When you visit our showroom, you’ll find an entire lineup of Honda’s new cars, crossovers, and SUV’s. You’ll also find friendly salespeople who can’t wait to share their knowledge with you about popular models like the Accord, Civic, the Honda Fit hatchback, and the all-new HR-V subcompact crossover. Purchasing a vehicle is an important decision, and at Plaza, you never have to worry about financing your next new, used, or Certified Pre-Owned Honda. Whether you’re planning to buy or lease, you can rest assured knowing that Plaza Honda’s expert finance team will work diligently to get you the best hassle-free rates and terms. We know that your Honda means a lot to you. So, when it’s time for regularly scheduled service, maintenance or repairs, our high-tech on-site Service Center is staffed with skilled mechanics who will treat your vehicle with the professional care it deserves. Plaza Honda also has an extensive inventory of genuine OEM components available. Whether you plan to do an at-home project or would like us to install them for you, we will happily assist you in getting the proper parts for the repair. The Plaza Honda Service Department’s main goal is to get your Honda back on the city streets in excellent shape as quickly as possible. From our lot to your driveway, we go out of our way to make sure you ride away in the perfect vehicle that suits your driving tastes, budget, and lifestyle. Stop by our dealership today, at 2722 Nostrand Ave, to learn more about us and what we can do to simplify your car buying experience. In the meantime, feel free to call us to schedule a test drive, browse our new Honda inventory, inquire about financing or contact us with any questions or concerns. We look forward to meeting you!